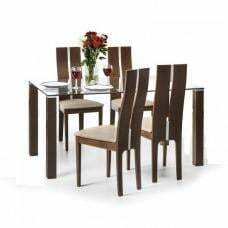 Gloucester Glass Dining Set In Clear With Brown Faux Leather Stools, this compact dining set will make a perfect addition to your dining room. 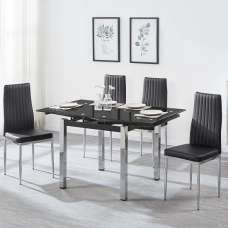 Crafted from clear glass, metal and faux leather seat pads. 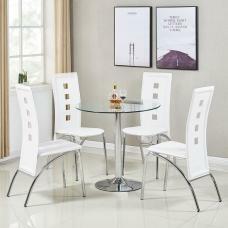 This Compact dining set will add an elegance and style to any modern dining room. 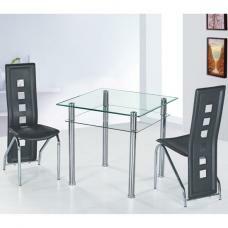 This Striking dining set is ideal for a stylish and modern home. 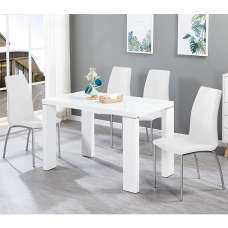 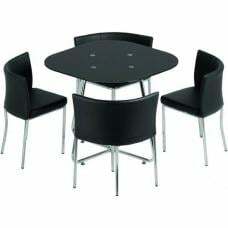 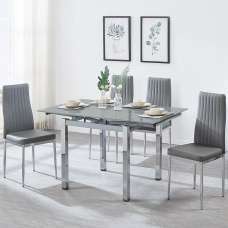 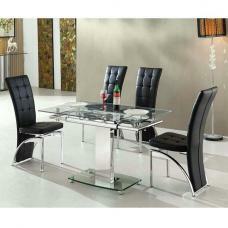 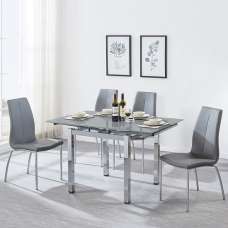 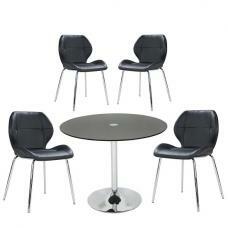 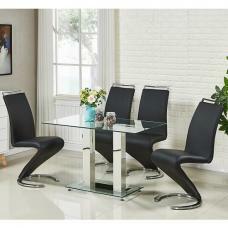 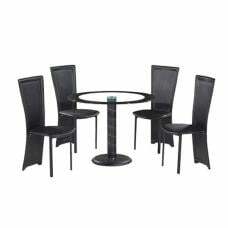 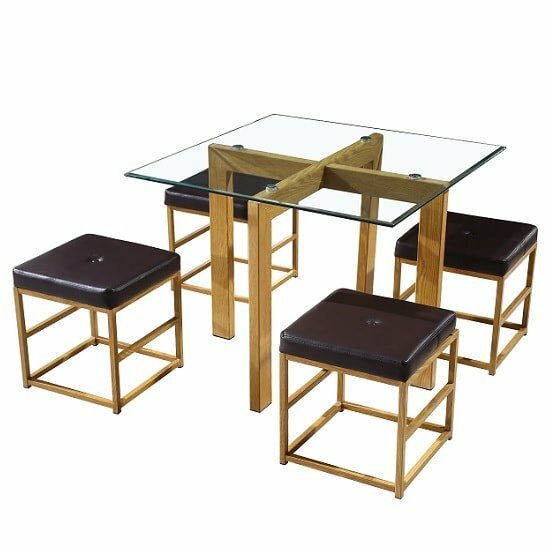 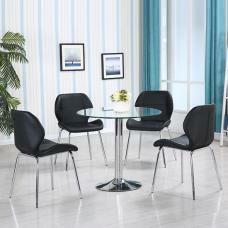 this dining set is a compact glass table with 4 handy stowaway faux leather seat pads. 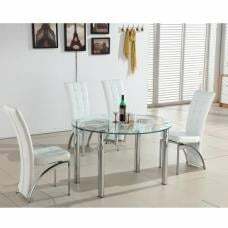 glass table has a stylish bevelled edge and all frames are metal with a lifelike oak finish.